Interior Lifestyle Tokyo 2014 concluded. Thank you for coming! 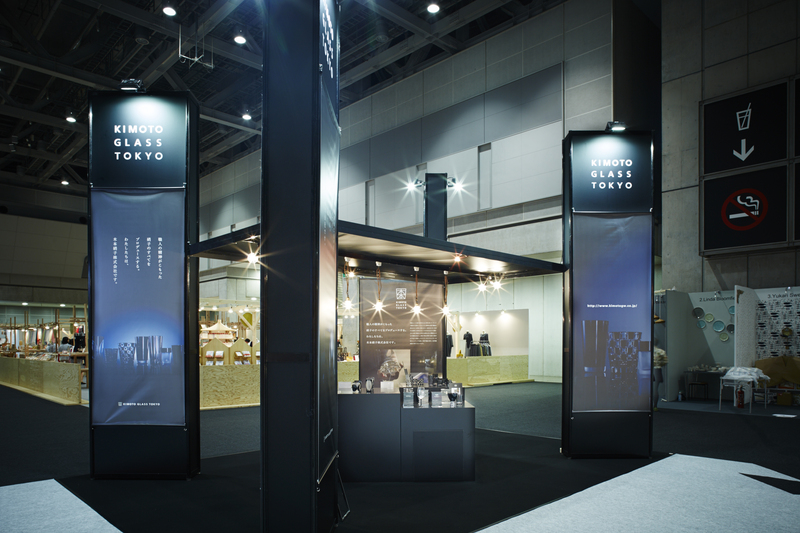 KIMOTO GLASS TOKYO made its re-debut at the exhibition, and many people have visited us. Thank you very much for coming. We would like to appreciate everyone that has enabled us to make a re-start as “The Past and the Future of KIMOTO GLASS TOKYO”. Re-Debut of KIMOTO GLASS TOKYO! 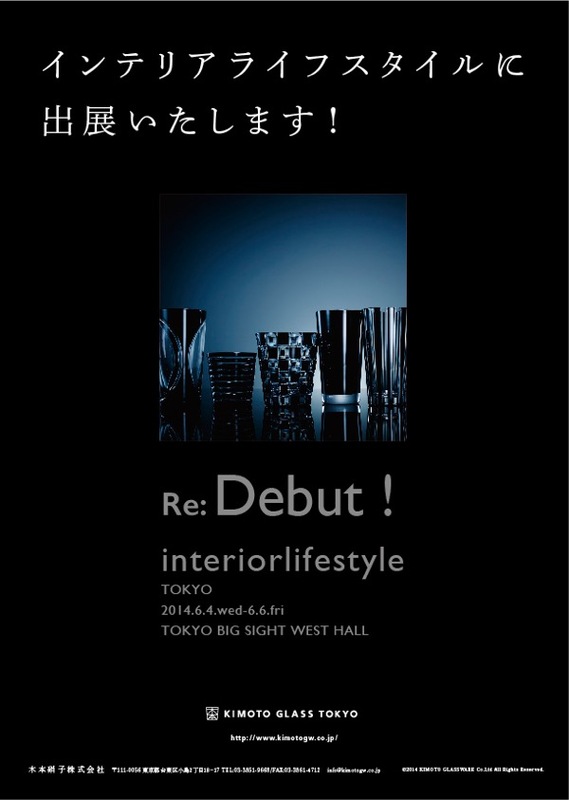 We will be exhibiting at the Interior Lifestyle Tokyo 2014. Our collections of modern glasses will be exhibited, and we will make our re-debut as KIMOTO GLASS TOKYO. The exhibition theme will be our black, and we will mainly display our popular products of the black Edo Kiriko, which were introduced for the first time in the world. We are looking forward to seeing you at the exhibition. Collaboration with Anjin’s “matured cocktail” and es dessert wine! “funew” appearing in IFFT/Interior Lifestyle Living!